Screen printing, also called silk screening, is done by pressing ink through one or more screens created for your logo. Because each color requires a separate screen, the cost of screen printing is primarily a function of the number of colors. It is often done large (around 20"). 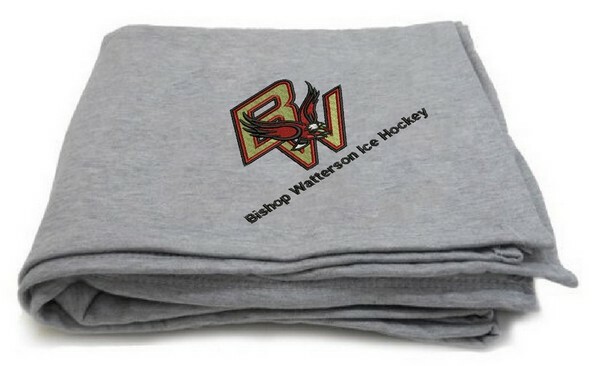 Screen printing works best on smooth surfaces, which is why it's not recommended for fleece blankets but works well on sweatshirt blankets (or other items with a printable area such as the fleece & nylon waterproof blanket or fleece roll-up blanket). Screen printing can also produce high resolution and complex designs. While screen printing is often big and bold, embroidery is small and tasteful. Embroidery is normally sized around 3-5". Since embroidery uses thread, it's a more substantial decoration. It has texture and creates more of a "3D" look and feel. And embroidery usually includes up to 6 colors without any additional cost. The cost of embroidery is instead based on the number of stitches required for the logo, which is determined by the size and complexity of the artwork. While embroidery can create very detailed designs, it isn't quite as sharp and crisp as screen printing. So, embroidery is generally perceived as the higher quality embellishment and is usually more cost effective for several colors. However, screen printing is the best choice for a large logo (if you want it to be seen from a distance) and is usually more budget friendly for 1 or 2 colors. While these are the two most popular decoration methods, they certainly aren't the only options. 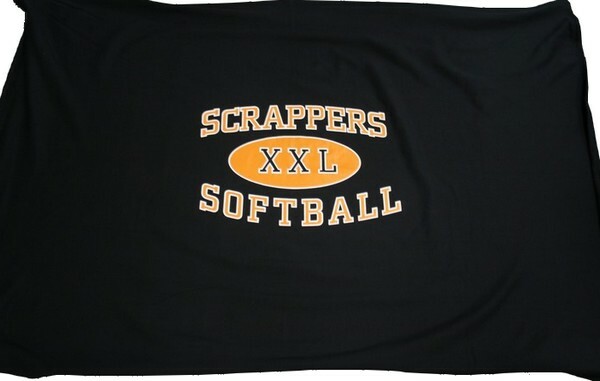 For example, heat transfers are great for full color, complex designs on virtually any surface, and laser etching produces a sophisticated and subtle tone-on-tone look on fleece. Have questions? Contact us about your project and we'll make you look good!